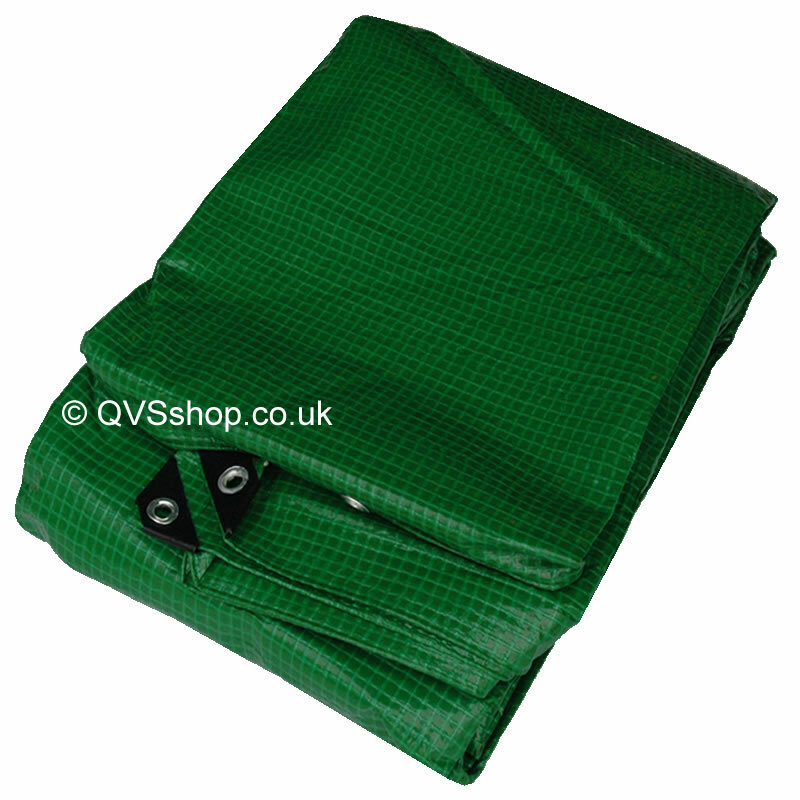 The Monotex green tarpaulin is a product widely used in industry as well as at home due to its strength and flexibility. Being 175 grams per square metre, this tarp has many uses including a boat or trailer cover, a temporary roof, or a groundsheet. Being fairly light to carry and very easy to fold, transportation and handling is effortless. When deploying this tarpaulin, try to avoid putting a lot of strain on the eyelets as this can cause them to rip out of the plastic. By using specific fixings such as shock cords and other bungee products, the forces applied to the eyelets are significantly decreased allowing a longer life span. The waterproof tarp is made from two sheets of laminated high density polyethylene attached to both sides of a multifilament grid. This meshed centre provides more resilience and reduces the chance of the cover ripping during use. This product has also been UV treated on both sides to prevent UV damage allowing it to be effective in sunny climates. Furthermore this reinforced sheeting has eyelets placed in every corner as well as every metre along all sides within the hems. Additionally the corners are strengthened with plastic patches just to give the four eyelets even more resistance. HDPE laminated on both sides. Eyelets every corner and metre on all sides. Available in green and clear. Sizes available: 3m x 4m, 4m x 5m, 4m x 6m, 4m x 10m, 8m x 10m, 10m x 17m.